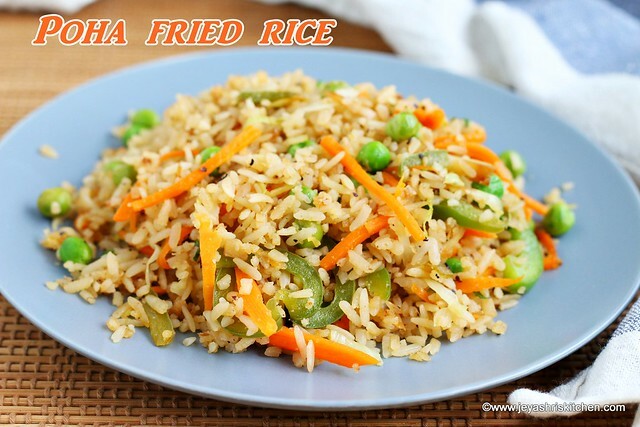 Poha veg fried rice with Video, the popular Indo Chinese recipe made using poha and veggies. *I used carrot, peas, cabbage and capsicum. Cut them into thin long strips. Wash the poha twice and drain the water completely. Keep it covered. In a pan add olive oil and add the chopped garlic and ginger. Slit the green chili and add too. Once the garlic changes colour,add the veggies. I used frozen peas. Cook on high flame for a minute or 2. Do not over cook, the veggies should be crunchy. Add the vinegar,soya sauce and chili sauce to this. Add the washed poha to this. Give it a gently mix so as the sauces and veggies get mixed to the poha. Add pepper powder to this. Cook on high heat for a minute. Ensure not to burn it. Switch off the flame. Garnish with spring onion greens. 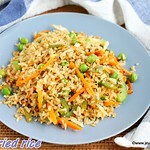 Poha fried rice is ready to serve. This doesn't dry up so you can pack for kids lunch box too. 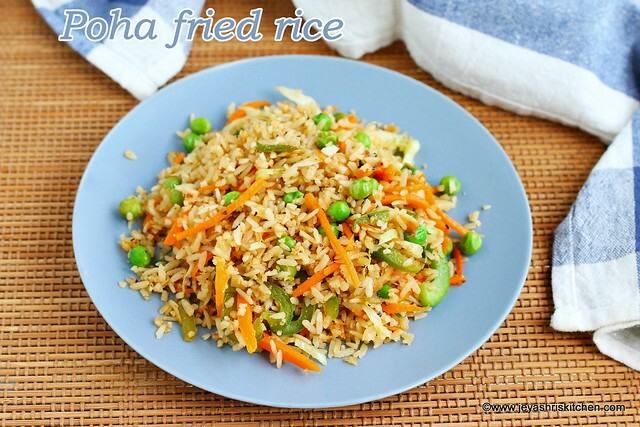 You can add corn kernels,baby corn and beans to the poha veg fried rice recipe.